We perform all procedures under magnification to aid in early detection of disease or other dental issues. Early detection leads to less expensive solutions as problems are addressed before getting out of hand. 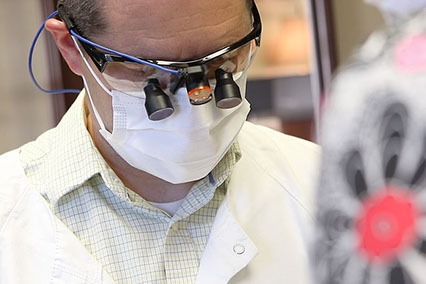 A picture is worth a thousand words, so at Apple Tree Dental we supplement our patient education with magnified pictures from the patient’s own mouth. Allowing you to see what we see clarifies treatment recommendations, simplifies explanations, and facilitates insurance authorizations. Lasers have many uses in dentistry. 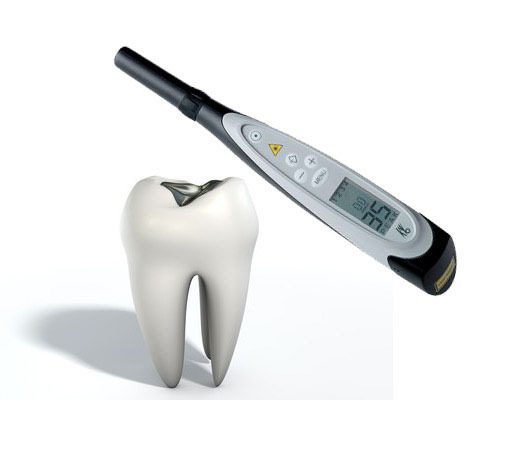 One use is to facilitate early detection of dental decay in difficult-to-diagnose areas. Early detection allows for more conservative restorations, more confidence when "watching" a suspicious tooth, and often less or no anesthetic injection for treatment. 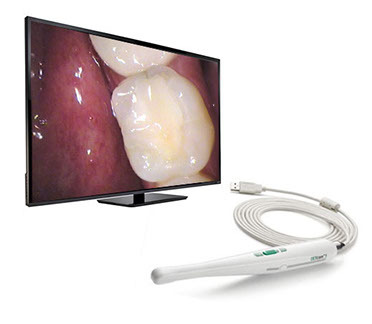 Quick, painless, and objective, we feel the proper use of this technology makes diagnosis more consistent, evaluation more thorough, and the overall patient experience better. Have you ever had a tooth or filling break? Recession or sensitive teeth? Chronic issues with your TMJ or headaches? A crown that never felt quite right? Technological advances allow us to digitally record and analyze how your teeth come together, thus enhancing our ability to identify and resolve issues that contribute to the above mentioned problems and more. We are dedicated to trying to address the true source of problems in order to improve outcomes, prevent future issues, and not just "put out fires". 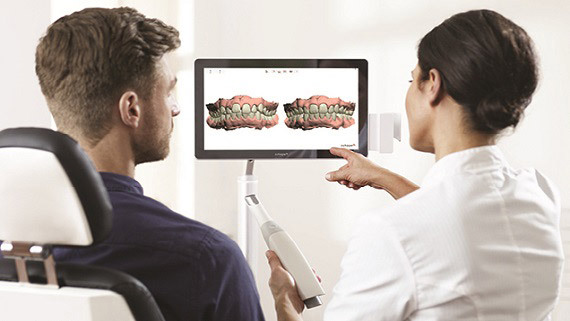 Designed to give our patients a great treatment experience, Trios is an exciting new technology to help scan and bring digital impressions to life. 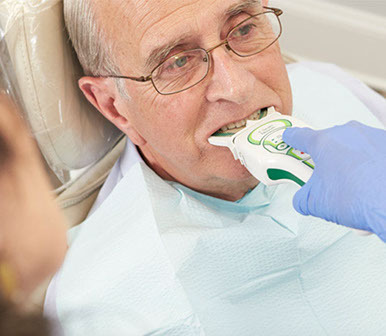 Trios enhances comfort by eliminating the need for old messy impressions! It's fast, acurate and shows realistic colors of your teeth. We are excited to give our patients the best possible insights into their dental health and proposed treatment plans. 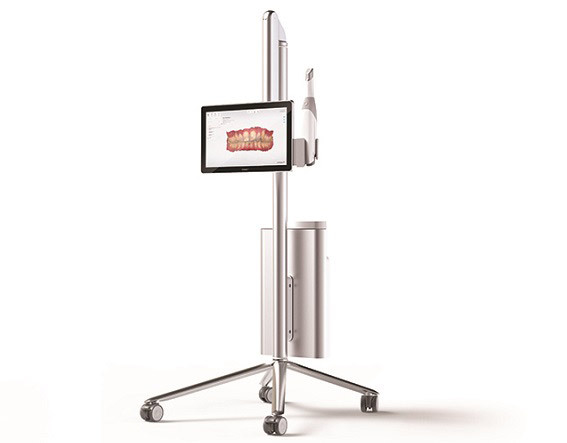 In an increasingly digital world, dental x-rays have improved dramatically. Not only can they be taken with much less radiation exposure to the patient, but accuracy of diagnosis is improved as film clarity can be enhanced in numerous ways.